And we have a release date, folks. According to reports, Jay-Z's ridonkulously anticipated Blueprint 3 is set for a September 11 release via Roc Nation, with distribution being handled by Atlantic Records. The formal announcement isn't expected to come until Sunday but thanks to a few internet leaks, we have received the news today, though the Jay-Z camp has yet to confirm. According to news-breakers Billboard, Sam Crespo, vice-president of rap promotions at Atlantic Records, let the cat out of the bag yesterday via a Twitter posting, which has since been removed. Also, a blog post over at MissInfo.tv shared the news, but again, that post was quickly deleted. Yeah, that kind of makes this whole September 11 date seem not so 100 percent, but since this all seems to be good enough for the usually reliable Billboard folks, we'll just follow their lead. After all, that's what we did the last time Blueprint 3 supposedly had a release date. Now, if you've been following your recent Jay-Z news, the whole bit about Atlantic handling Blueprint 3 may seem a bit confusing. 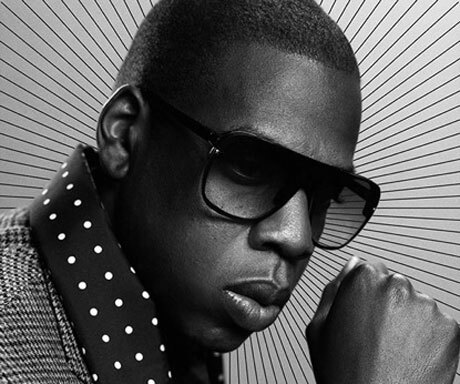 Recently, we reported that Jay-Z had left longtime label home Def Jam for a new deal with Sony's Epic Records. And according to what sources close to the negotiations told Billboard, this is all still going ahead. "Roc Nation will still be coming to Epic. It will still be a distribution deal," a source was quoted as saying. However, Atlantic falls under the Warner Music Group umbrella and, to make things even more confusing, there's that whole LIve Nation deal that supposedly went down. Whatever the case, some label somewhere will eventually be releasing Blueprint 3.